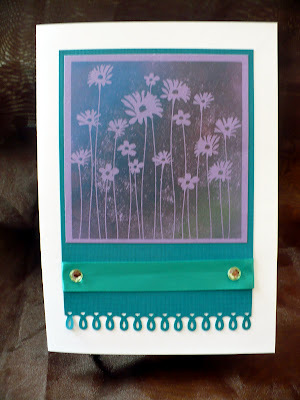 moonsplash designs...: Purple Posies Part 2! I've been asked a few times what would I end up doing with the Perfect Pearl Purple Posies. 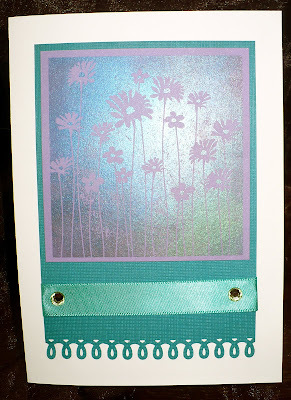 Well, I made cards and here they are! They remind me of floral peacocks! Thanks for looking and thanks for asking about what would come of the Purple Posies! Beautiful card!! Love all that shimmer! Love the effect of the Perfect Pearls! Beautiful job!